Coming off their respective wins at UFC London, Leon Edwards and Jorge Masvidal set themselves up for a potential fight. Although they could have just met in the cage, the two instead met backstage following their wins, and an altercation took place that saw Masvidal get his hands on Edwards, who is now looking for revenge. With the dust from their altercation settling, the UFC decided to move past the new rivalry and have been in talks to schedule a fight between Masvidal and Ben Askren this summer. While the UFC has made it clear they don’t have any current plans for Masvidal and Edwards to face each other, “Rocky” isn’t going to stop pursuing the fight. In an exclusive interview with BJPenn.com, Leon Edwards spoke about the altercation, why the fight with Masvidal has to happen, and how he feels he needs to defend his country after the altercation took place in his backyard. While many thought the backstage scuffle would lead to Edwards and Masvidal fighting each other next, Edwards feels the fight has to happen, but he wants a top-five opponent next regardless. For Leon Edwards, the back-and-forth verbal exchanges with Masvidal are not trash talk, they’re just facts. In a division open for new contenders, Edwards isn’t going to trash talk his way up the division, he’s going to use facts and performances to help get him to the title shot he’s hoping for. In response to the altercation that occurred after their fights, Leon Edwards says Masvidal got off a “few sneaky shots” and for that, his day will come. The backstage altercation isn’t just about two possible future opponents facing each other one day, for Leon Edwards, the altercation is personal because it happened in his home country of England and he wasn’t able to respond right away. 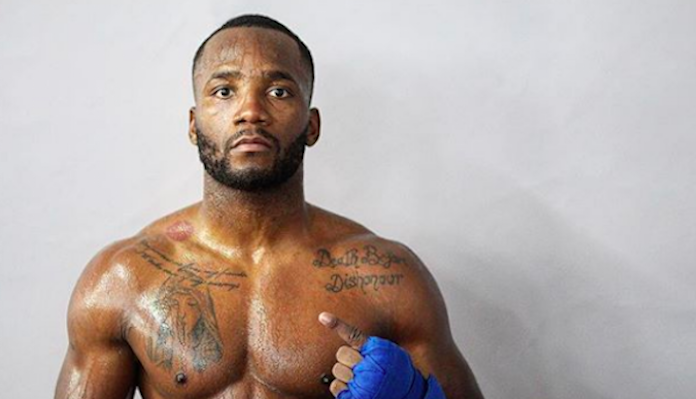 Despite the personal issues between the two, Leon Edwards wants it known that the fight with Jorge Masvidal will eventually come, and he plans to get his revenge, but more importantly, “Rocky” is ready for a top-5 opponent, or a title fight in the near future. This article first appeared on BJPenn.com on 4/3/2019.